A Kawasaki ZZR1100D! 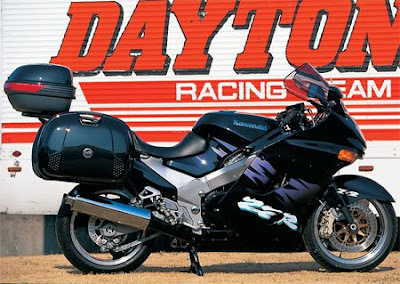 I've owned a 400cc version, but THIS is one of the bikes I wanted to ride since day 1! This is(I believe) the 1st Hypersports bike. This bike was the king of the street back in its heyday. Riding it was often described as "Riding the blastwave of an endless explosion". How cool is that? 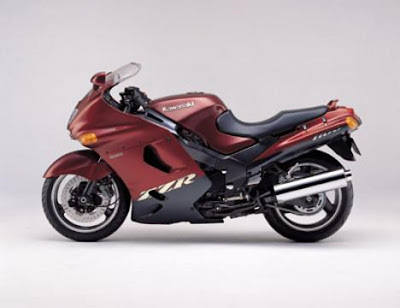 Thanks to the Suzuki Hayabusa this bike got cheaper, and people who used to salivate over this bike back in the 80's and 90's can now actually afford it! Another thing that made me fall hard on my knees in love with this thing is that it looks so boss with hard panniers! When I get the moolah, I'm so gonna get this bike!